Tour Greens Atlanta is the certified dealer and installer of Tour Greens backyard putting greens and short game green systems. 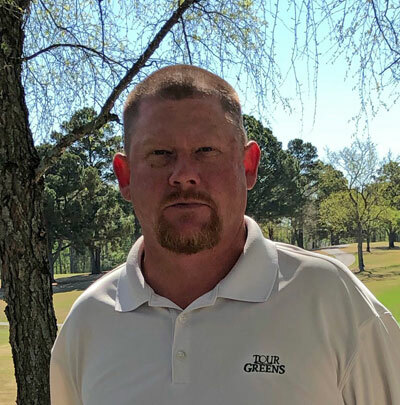 Led by Chris Gentry, the Tour Greens Atlanta team delivers professional installation of tour-quality putting greens and short game green systems that look, react and feel like natural, bent grass greens. In addition to putting solutions, Chris also provides a wide selection of recreational surfacing solutions, including VersaCourt multi-sport game courts, XGrass synthetic turf systems, and Mulch Outfitters playground mulch. Our experience ensures that you are in the best hands available for your Tour Greens backyard green. Tour Greens Atlanta is the premier putting green installation company for the state of Georgia. Our installation team is well-trained, knowledgeable, and will work with you directly to build the synthetic putting green of your dreams. 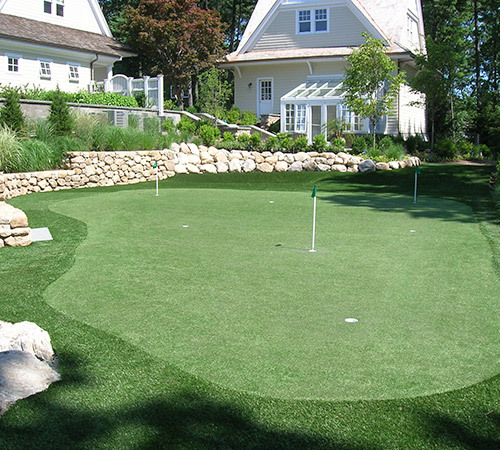 Tour Greens Atlanta provides everything you need for a beautiful, low-maintenance artificial lawn and landscape. Using the most realistic artificial grass on the market, we install artificial lawns that look and feel like healthy, natural grass. In addition, our lawns are pet-friendly, so you can have a beautiful, green lawn year-round that can handle even the most mischievous four-legged friends. As an authorized dealer and installer for VersaCourt Court Tile, Tour Greens Atlanta provides custom designed indoor and outdoor courts for a variety of sports, games, and activities. From backyard basketball courts to multi-game court solutions, our team can help transform your backyard into a complete recreational facility.